N.B. This post is sponsored by Nordstrom, but written by your usual friendly blogger, Kat Griffin. 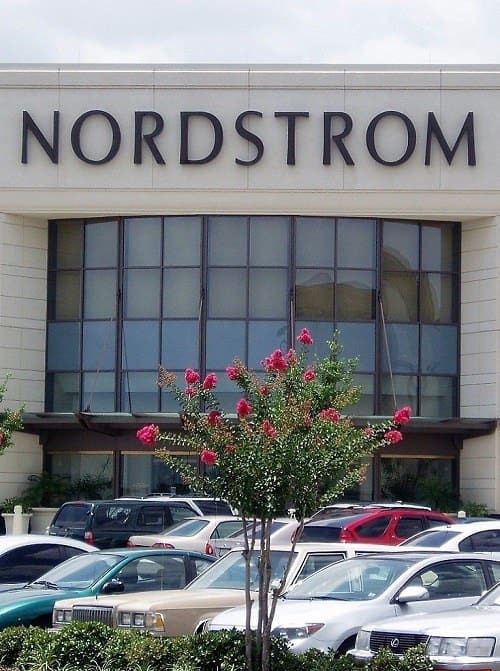 Card members earn 2 points per net dollar spent at Nordstrom on your Nordstrom credit or debit card. Every 2,000 points earns you a $20 Nordstrom Note to spend on anything at Nordstrom. Card holders get early access to Anniversary Sale so they can shop online and in stores before every else. I went through the signup process in less than 10 minutes (it would have been faster if I’d had my driver’s license at the computer with me), and because I applied through my Nordstrom.com account, the info is already saved in my account and I can already begin earning points (and have access to the sale). (The card will come in the mail in 7-10 days.) Sweet! 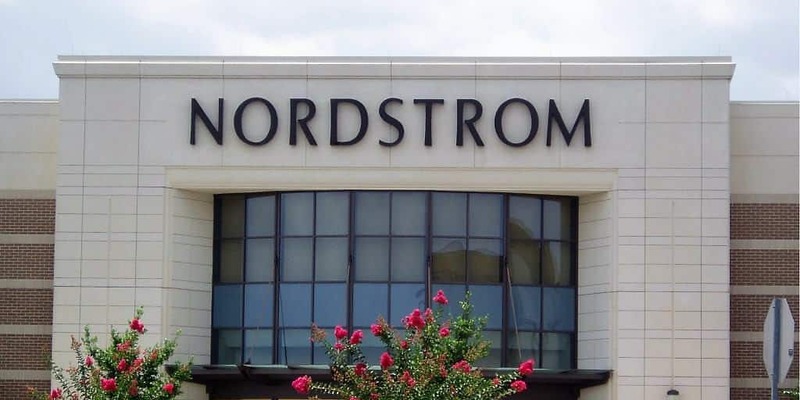 Readers, are you excited for the Nordstrom Anniversary Sale? Cardholders, what purchases are you hoping to make? Social media credit: Public Domain. Seems like it would make more sense to just get a cash-back rewards card that doesn’t require you to spend your rewards at Nordstrom . . . I think it depends how many of the features you use. For sure, 1% cash back is offered by many credit cards. I get most of my clothes at Nordstroms, shopping twice a year with a personal shopper (I spend a few hundred dollars each visit). In this pattern of shopping I can time it for a double points day (or just take a triple points day) and increase the effective cash back. Also the free $100 of alterations is *really* useful for me. If I were buying clothes from a variety of retailers, or just shopping more continually (instead of in spurts) you’d probably be right. +1 to all this (including the part about seeing my personal stylist 2x per year). The great part about the Nordstrom notes is that, unlike other cash back cards I’ve had in the past, they come to me automatically. I don’t have to go to a rewards website, login, confirm that I have “enough” points to cash in, and wait 6 weeks for a check that I then have to cash via my bank. The notes, if I’ve earned some that month, come in the mail automatically. Plus, they show up on the Nordstrom website at checkout if I’m buying something online and my stylist can access my notes to redeem for me even if I forgot the paper notes at home. And, this is important for me, they send me a reminder to use them if the are close to expiring (12 months). So yeah, the notes are really just 1% cashback but it’s a better system. And the card have some amazing services too. The call center people are very friendly and there isn’t usually a long wait to talk to someone. Agree, the $100 alterations allowance makes this card for me. I don’t have to spend anything to get it–it’s just a free $100 for having the debit card and putting my alterations on it. I have to agree with your point. I have the Capital One Venture and get 2x points on everything. If it was only 1x points I would agree that the Nordstrom card was better. With the Venture you can also effectively get “cash back”, even though it’s not a cash back card, by reimbursing yourself for any past travel expenses. I swear I don’t work for them, I just really like the card. Although I will say, if I ever decide to open a store credit card it will be Nordstrom’s. I love my Nordstrom card. I have had it for about 12 years and have had zero complaints. Customer service is great, interest rate is low, the rewards are good, and (because my husband bought two custom suits last year) I get unlimited free alterations. I pretty much only shop at Nordstrom because no other retailer even comes close to their service and quality. 100% agree! The card is totally worth it, just for Early Access to the Sale! Without fail, everything I want is gone by the time it opens up to the rest of the world. If you’re a store credit phobe like me, Nordstrom also has a great debit card that links up to your checking account. All the points and benefits, none of the scary bills at the end of the month. I’m a big fan. +1! I love a lot of what you posted, particularly the new Sam Edelman boots and that Rag and Bone jacket. Thanks for making my day when I saw the post yesterday! Also you can get a debit card version with the same rewards. Hmm. Here’s the stuff I bought at the sale. I’m just going to do item number/name because the links always get this hung up. There were a few other things I was looking at, but these were the ones I picked for now. The NAS usually involves several purchases and returns for me as I figure out what I need/want and what looks good. I am looking for a good pair of black knee-high boots and Cole Haan had a gorgeous pair. I am tempted to get them in case they sell out. But I didn’t want to spend that much on boots. DECISIONS. Love those ECCO boots… I may have added them just now. +1 I cannot decide between the Espresso and the Moon Rock. I loved the Moon Rock and wanted that pair, too. But I promised myself: ONE pair of boots. So, yeah, black it was. I am on a needs only shoe diet and ultimately decided that I needed the brown ones to fill a hole in my wardrobe. Whoops, meant this as a reply to Interrobanged. I bought the Joe’s Ali pumps too! So excited, they look really cute. I also got the Halogen cashmere crewneck in a few colors. I’ve been looking for a staple crewneck sweater to replace my J crew ones that either don’t fit or just haven’t held up, and this will hopefully work. I bought one of the Halogen cashmere sweaters in last year’s sale. It has pilled, but less so than any of my JCrew cashmere from the past few years, and not within the first three wears like JCrew. For the price, well worth it IMO. Really good to know, thanks! 1) 2 Calvin Klein t-shirt bras that i know fit well. 2) Hanky Panky thongs (not many original rise colors in this sale). 3) Halogen Suit skirt. I didn’t love any of “The Skirt” colors. I am not a huge fan of the color-blocked styles and I look younger than age in a job where I need to not look so young, so I can’t wear the magenta one. I have gotten rid of (or stopped using) all my store cards … but I would never give up my Nordstrom card. +1 to all praise above – automatic points, easy redemption, basically free alterations, bonus days, etc etc. And to clarify the double/triple points day, I was able to “activate” one at the cash register in a store. Didn’t call in advance, didn’t go online. I was buying a lot of stuff (holiday shopping), and I happened to bemoan the fact that I hadn’t signed up for my bonus points day. The clerk cheerfully said that she could take of it for me, right then and there. There is no better service anywhere than Nordstrom. This will date me but I got my first Nordy’s card in 1978 with a $100 student limit. I was 18. The rewards program with early access plus the $100 alterations credit per year is what makes me happy. Ugh, I went through the whole process to apply and THEN got a message saying the application system is down. Poorly done, Nordstrom.